This week is Mental Health Awareness Week, a very good thing, designed to get people talking about all things mental health related, to educate, inform, start discussions, do away with 'taboos', and ultimately, help anyone who's struggling get the help they need. 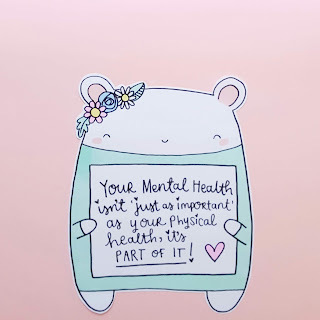 A phrase I've seen a lot is 'Your mental health is just as important as your physical health', and the more I see it, the more it bugs me, because surely - they're both part of the same thing? For example, I suffer with anxiety. Usually, it's low level background noise that I can manage without too much trouble. But when it gets really bad; I can experience migraines, panic attacks, insomnia, loss of appetite (or the opposite - eating everything in sight!) - all physical things that come about as a result of my mental health. 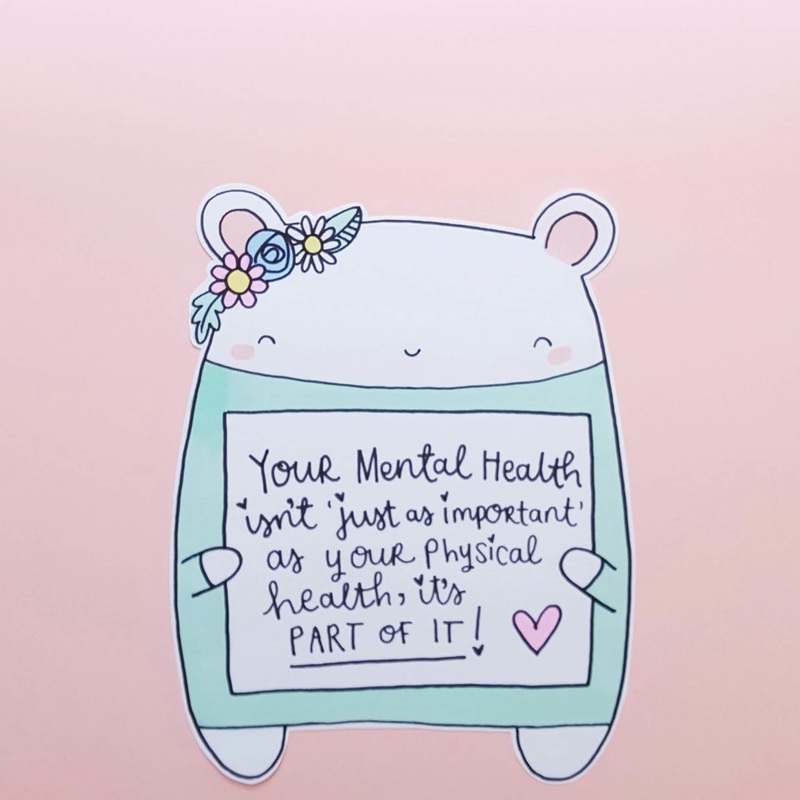 I'm fairly sure other mental illnesses come with their share of physical symptoms too, so isn't it time we stopped thinking of Mental & Physical health as two different things? Maybe once we do that, less people will suffer in silence and instead, start getting the help they need. Because let's not forget that mental illness can happen to anyone. Just as a fit, healthy person can suddenly get struck down with pneumonia, a perfectly happy, 'well adjusted' person can suddenly go through something that fills their world with a big cloud of depression. Maybe, if we stop 'ranking' mental illnesses against physical ones, people would be more inclined to get help? If you fell and broke your leg, you'd go straight to hospital, right? but if you lost a loved one and found yourself three months down the line, still not feeling like getting out of bed in the morning, would you see a doctor or just 'power through'? 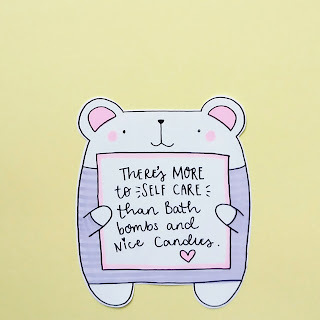 Don't get me wrong, I'm not suggesting everyone starts weekly therapy sessions whenever they're having a tough time - after all, we don't all rush to the doctor at the first sign of a cold - but we do self medicate. Perhaps something simple, like a keeping a journal or using an app to track your mood could help boost your mental well-being in the same way as a hot lemon drink can help soothe a sore throat. And if it doesn't, then it's time to seek out professional help - just as you would if you were still coughing and sneezing after a month. In the same breath, maybe blurring the line between Mental and Physical health would encourage people to take better care of both too. Most of us do our best to eat well, do a bit of exercise and the like, but how many of us make 'emotional maintenance' part of our daily routine? 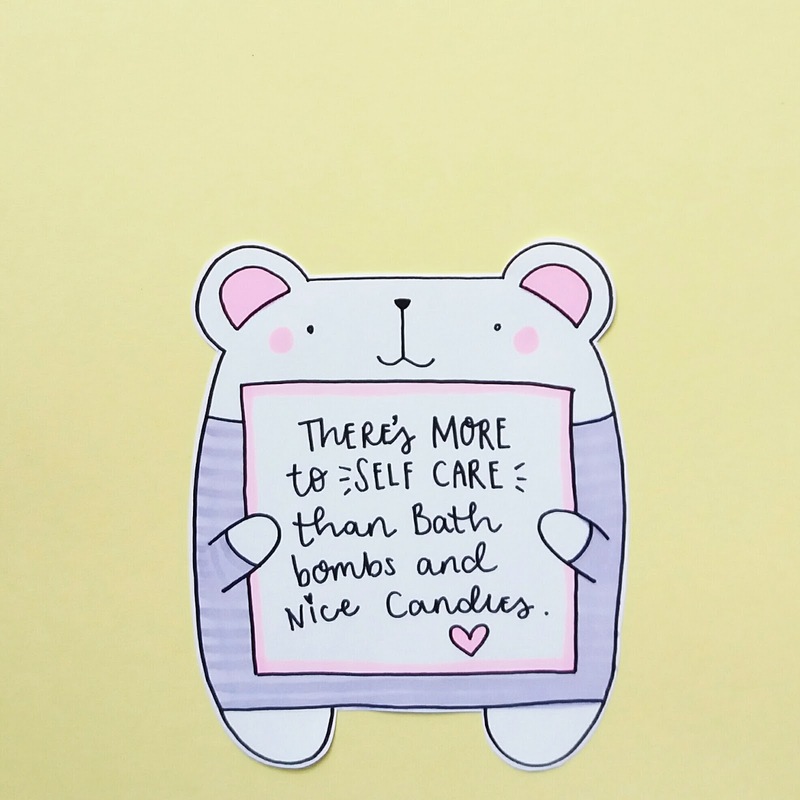 It goes back to what I said a while ago about self care - and how it needs to be a regular thing, not just something we 'indulge' in when we're feeling low. For me, it means writing down my 'three good things' before bed every night, it means walking the dog, strolling the seafront, doodling, taking time out for a cuppa & a chapter of a book or a long hot bath. For you, maybe it is going to the gym, or playing a video game, or writing poetry, or taking photos, or stargazing or baking or... any number of other things. I don't think it really matters what you do, so long as you're allowing yourself the time FOR YOU. What do you think? Are mental health and physical health two sides of the same coin? What do you do to keep them both in a good way?